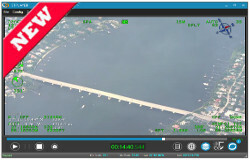 Advanced STANAG 4609 file and low latency live stream FMV player & recorder. The player has some enhanced capabilities like Situational Awareness features, Metadata overlay, Pixel to Geo tools, annotations, etc. KlvInspector provides in-depth insight into the STANAG 4609 MISB 0601.X KLV metadata. 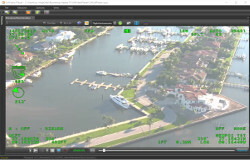 It is an essential tool for UAV video applications development, integration and testing. 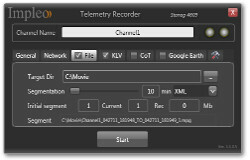 STANAG Klv Streamer allows to re-stream STANAG TS files ( CBR/VBR ) over the UDP (unicast/multicast) with real time or slow / fast rates and preview resulting network streams with Klv, metadata. On-the-fly generation of a STANAG 4609 compliant files / streams. STANAG metadata Injection into FMV. External sensors data multiplexing, video/data assets post processing, etc. Offline batch processing of the video and metadata files / generation of the STANAG 4609 compliant files. 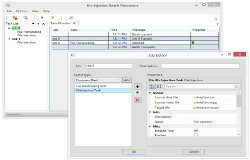 KLV Injector Batch is used for offline STANAG files generation by combining a FMV with an external sensors data. 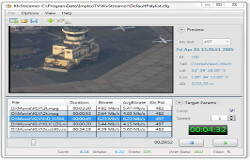 Metadata processing tool for transcoding of various telemetry metadata formats into MISB 0601.8 compliant RAW KLV used for metadata insertion into Intelligence, Surveillance and Reconnaissance (ISR) Imagery. 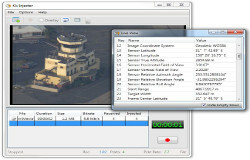 Console application (utility) for exporting MISB metadata and video frames. Klv packets (both RAW and JSON decoded) may be saved to disk or sent over UDP. 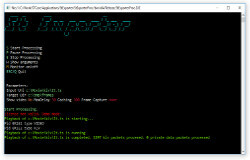 Video Frame / Klv Packet Sync. STANAG 4609 Metadata insertion into TS over UDP streams. Re-broadcasting and recording. RAW Klv or on-the-fly recording from JSON. 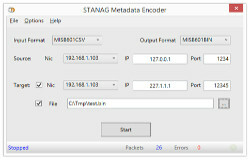 STANAG 4609 / TS Recorder application. 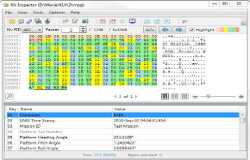 FMV multicast recording, KLV decoding, live metadata transcoding/export, KLV to COT transcoding.